I chose to go the Unite Warriors route for Computron. I couldn't bring myself to accept a repainted Brawl and Streetwise as Nosecone and Lightspeed... 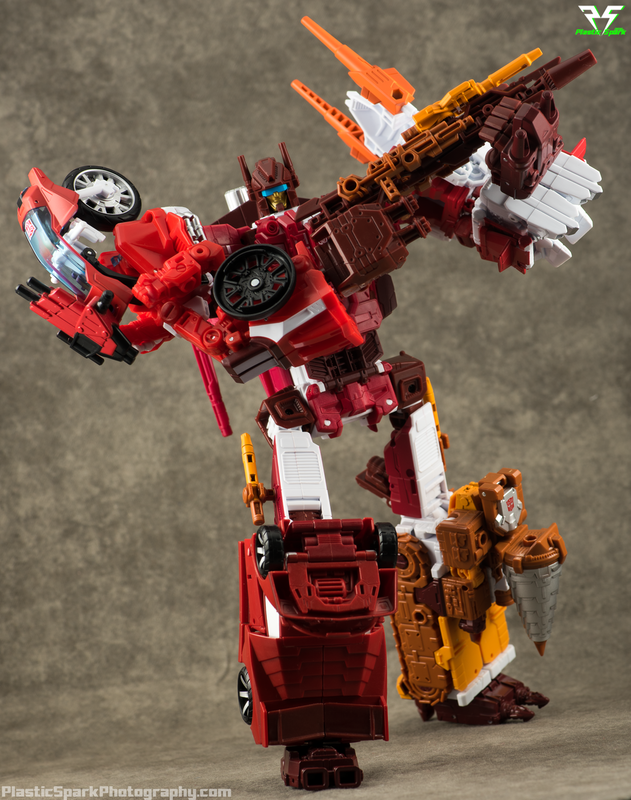 I do really like Hasbro's Strafe however. Combined with Hasbros reuse of the Superion headsculpt and I just had to go import on this set. 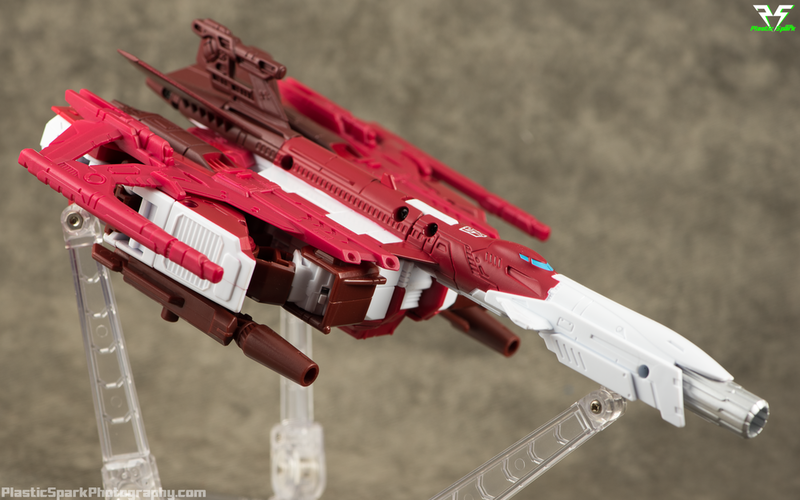 I'm glad I did as I honestly feel like the retooled Nosecone and Lightspeed are the best representations of those molds, Afterburner is very nice although I do prefer deluxe Groove, and Strafe is simply amazing, but I don't have UW Blast Off to compare too. 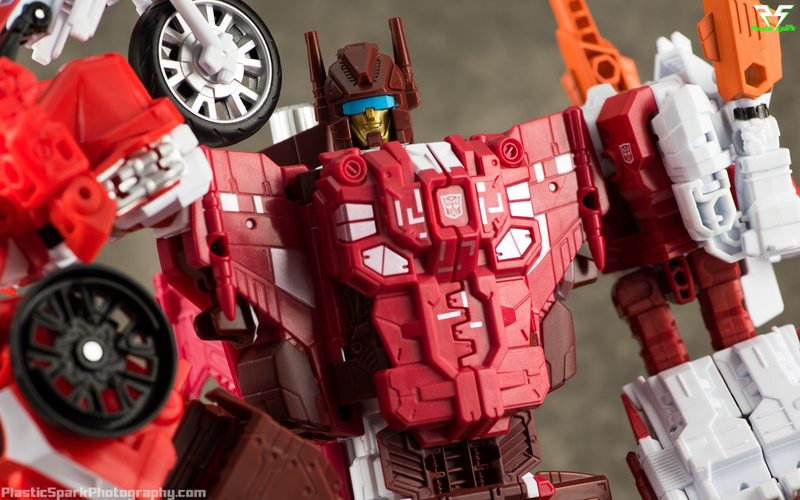 Scattershot isn't a huge departure from the domestic release but the UW colors really pop and make an average figure feel a bit more premium. 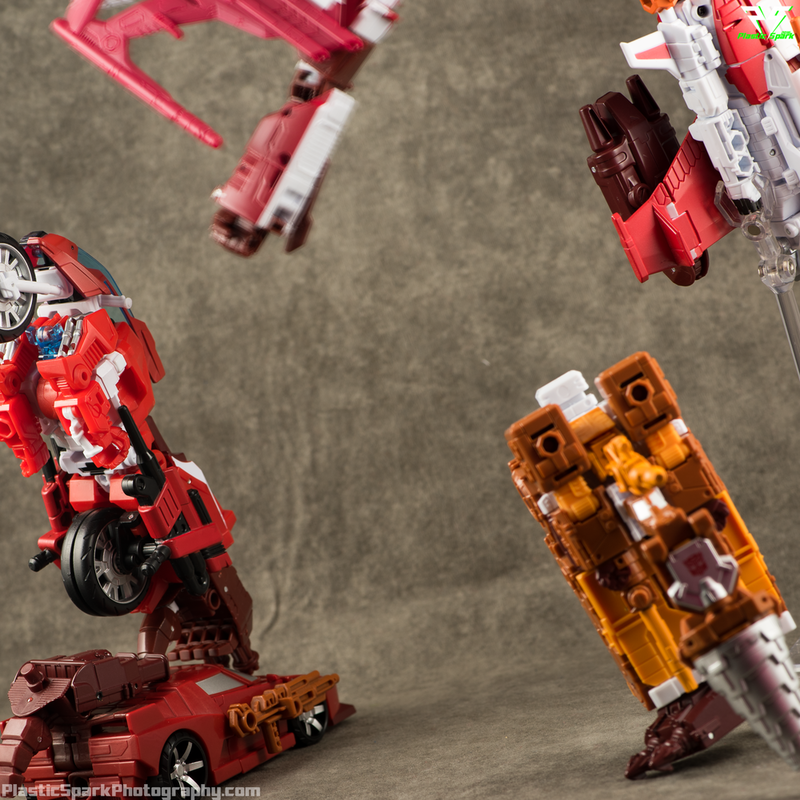 The new chest plate and head in combined mode are fantastic and really do a lot to set Computron apart from Superion. 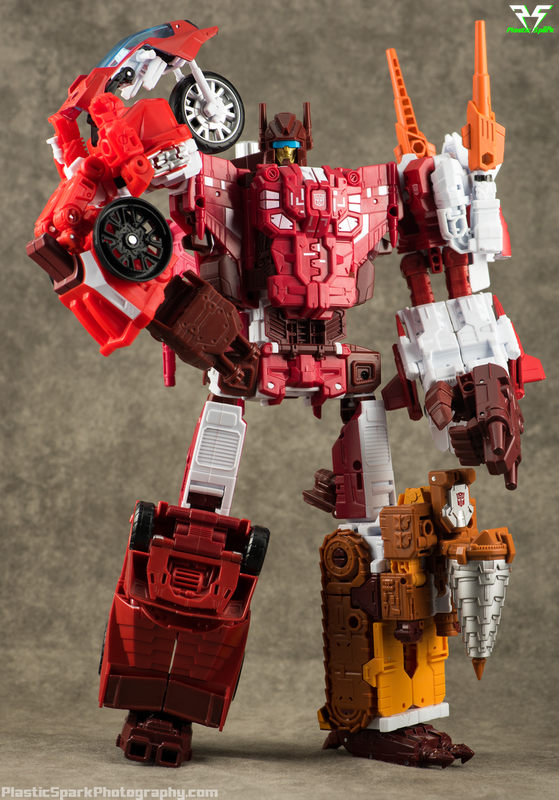 I wish Takara would have included the new hands and feet that Hasbro Computron shipped with but I will likely replace them with third party hands and feet anyways. I'm glad I picked up this set as I don't feel like I'm "settling" the same way I would have with the Hasbro version, however it should be stated that if you prefer an homage to the original G1 toy colors the Hasbro version is a better choice as the UW version is mostly red like the G1 cartoon. It's up to you which you prefer and of course if you're handy you could always repaint this set if you prefer a more orange Afterburner. What do you think of this set? Is it worth paying the import premium or is the Hasbro version superior? Let me know down in the comments!